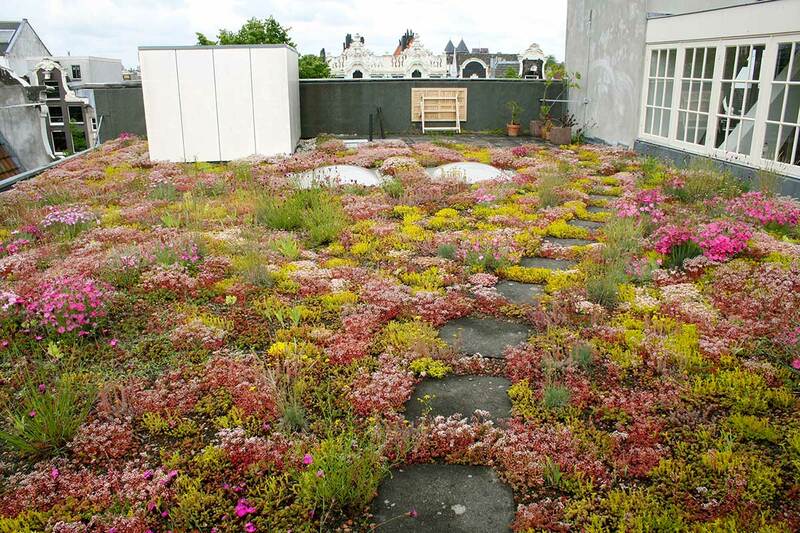 Challenge: Creating an elevated oasis on a 100m2 pebble-covered roof of a canal house. 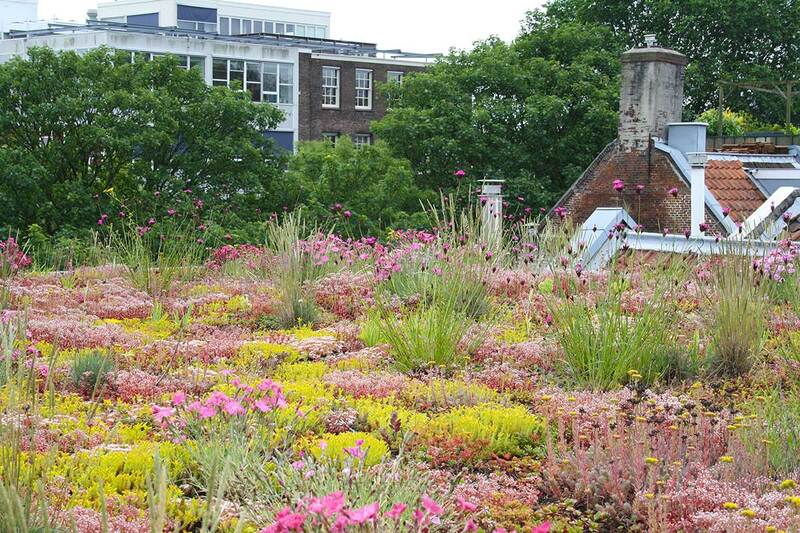 Result: This biodiverse green roof contains sedum, herbs and grasses. 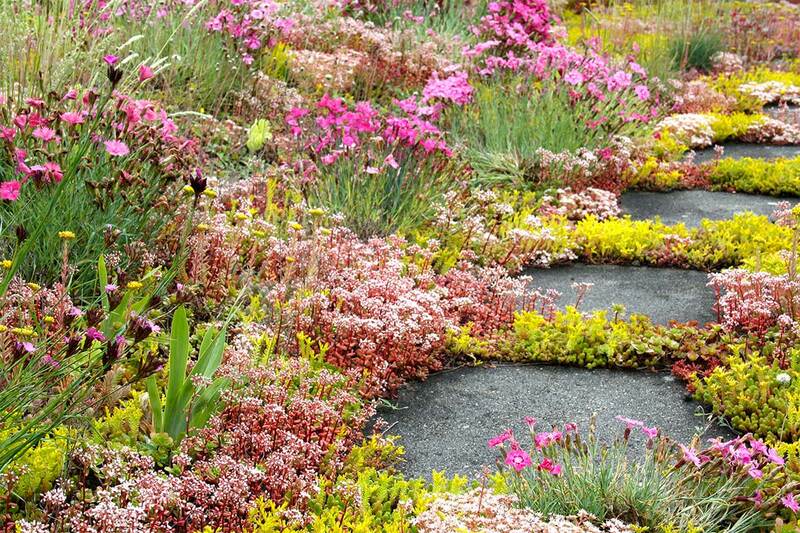 A thick substrate layer benefits the plants and relieves the drainage during heavy rainfall.